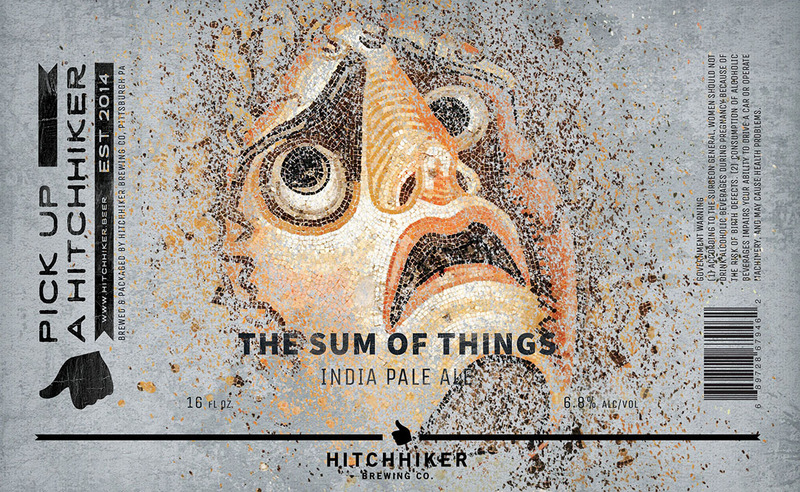 The Sum of Things | Hitchhiker Brewing Co. Brewed with flaked oats and wheat. Kettle hopped with Wakatu and Amarillo. Dry hopped with Wakatu, Amarillo, and Citra. Notes of citrus zest, citrus oils, white flowers, melon, and bread.